The Iowa Air Emissions Assistance Program (IAEAP) is designed to train and educate Iowa small businesses (100 employees or less) on air emission regulations enforced by the Clean Air Act. 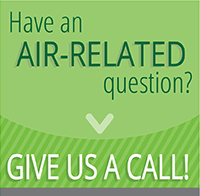 The IAEAP, funded by the Iowa Department of Natural Resources (IDNR) Air Quality Bureau, provides free, non-regulatory assistance. The IAEAP assists Iowa small businesses through on-site visits, phone assistance, individual email assistance, newsletters, workshops, compliance assistance materials and web assistance tools. Information collected through assistance helps to manage Iowa's air resources and apply pollution prevention strategies. The IAEAP works with many industries including dry cleaners, body shops, manufacturers, grain facilities and printers. The following provides a basic overview of air quality regulations in the state of Iowa. The use of hazardous chemicals in the dry cleaning process can pose safety and environmental concerns if not managed appropriately. In an effort to minimize these concerns state and federal regulations are in place to ensure business operations will not unexpectedly harm the environment or individuals. To help dry cleaners understand the regulatory requirements, the IWRC’s Iowa Air Emissions Assistance Program has developed resources to help. In September 2014, the Iowa Department of Natural Resources (DNR) adopted the federal standard for the National Emission Standards for Hazardous Air Pollutants for Prepared Feeds Manufacturing at Area Sources 40 CFR 63 Subpart DDDDDDD, otherwise known as the 7D Rule. We've compiled the information you need, including fact sheets, permitting instructions and forms. The following information applies to facilities affected by the National Emission Standards for Hazardous Air Pollutants (NESHAP) for Source Categories: Gasoline Distribution Facilities (40 CFR Part 63, Subpart BBBBBB) referred to here as "6B." The rule applies to existing and new gasoline distribution facilities that are area sources. The assistance materials at this site focus on bulk gasoline plants. To help owners and operators of grain elevators determine their group classification and meet reporting requirements, the IWRC's Iowa Air Emissions Assistance Program developed the free GrainPTE online calculation tool. In conjunction with the Iowa Department of Natural Resources, the IWRC completed online presentations to assist facilities in determining if they will be regulated by this rule. 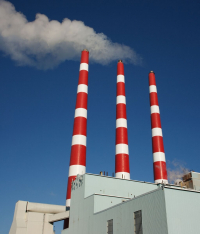 The Iowa Department of Natural Resouces (DNR) requires all facilities not subject to the Title V Operating Permit Program to submit a Minor Source Emissions Inventory every three years. DNR has split Iowa into thirds to stagger the number of inventories received annually. Businesses with painting and coating operations have many requirements when it comes to recordkeeping and regulatory compliance. The Iowa Air Emissions Assistance Program has developed numerous programs and resources to help keep your facility compliant. Have had nothing but good to say about the IAEAP. Always pleasant, helpful people on the phone. Keep up the good work. Your help to us was A+, and we would recommend your service to anyone else who would have the need. Thank you for your assistance and guidance. The service provided was very helpful in getting the information together for our business to comply with Iowa air quality law. I received good and polite service and my calls were returned promptly when necessary. This is one of the most informative and helpful organizations I have been involved with. Keep up the good work. I think this is an excellent program. I plan to use the IWRC in the future. The Iowa Air Emissions Assistance Program is funded by the Iowa Department of Natural Resources. This information is intended solely as guidance, cannot be used to bind the Iowa Department of Natural Resources and is not a substitute for reading applicable statutes and regulations.